Richard Garriott gave a keynote this week at the GDC Europe conference, where he touched on the Ultima and Ultima Online series as well as what he’s learned. While I don’t have a transcript of the keynote, He gave a really in-depth interview that was published on the Soulrift blog. Well, when you generate a massively multiplayer game, the ability to tightly control and constrain things goes out the window. Even if you start with a basis of saying at level 1 you get 1s of gold and level 2 you get 10s and level 3 you get 100s, etc., the problem then becomes that anyone of high level can basically hand that value to a person of low level. 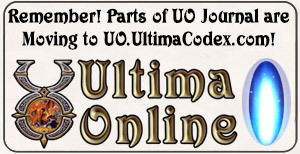 We had the circumstance where, I think one of the most interesting emergent value assets that came up in Ultima Online was how quickly and how valuable virtual real-estate became. 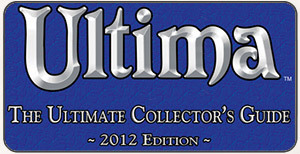 I think that the reason why they became so valuable and the impact on the economy kinda goes like this: Ultima Online, to this day I think, is the only MMO that did such a good job of giving players non-combat roles that were so thoroughly simulated that people had entire lives that they would live out in the virtual world that had little or nothing to do with adventuring. The classical case is the blacksmith. There were people who would literally spend their entire virtual life online buying ore that would be brought by adventurers in dungeons, smelting it down into ingots, taking those ingots and forging weapons, and selling those weapons back to the adventurers who would go back into the dungeon and get more ore. Well, if your joy in this game was to be a blacksmith and make weapons, well your blacksmith shop sorta needed to be somewhere on the beaten path between the dungeon and the city centre where the players usually had their caravans of player groups going for safety. And that real-estate, of course, was almost immediately bought up by players early in the game, so late in the game the only place to build a new blacksmith shop was way out in the woods somewhere, which was, frankly, no amount of advertising would bring people to you. So the real-estate suddenly became the thing of value. but I had no idea of the power of these levels of activity that were not combat within Ultima Online until I was a game master within the game itself and I would do things like… I remember a day that I was running around in the Help Queue and just responding to complaints, people getting stuck somewhere or whatever their problem might be, and I would teleport in as Lord British and help them out and feel very proud of myself. I remember one time I was invisible and just walking around the coast line and there was this man standing along the shore and he had decorated and adorned his character very carefully, he was wearing cut-off short and a holey shirt and a big straw hat and he was standing on the beach with a fishing pole catching fish and laying the fish out beside him on the dirt. At that time, this was very early in Ultima Online, the simulation for fishing was precisely this: use fishpole on water, 50/50 chance to generate a fish. End of simulation. So there really was no simulation. I did not think of fishing as a profession, I did not think of fishing as something we were simulating, I just thought everything you can see that is a decoration in Ultima Online, it should work. So if you saw a typewriter – not that we ever had one – but if we did, it should work. If there’s a telephone, it should work. The whole thing is very much worth a read with a huge emphasis on in-game economies and crafting, and Garriott goes on to talk about Tabula Rasa, some of the other games he’s worked on, and the next Lord British game. So what are you waiting for, head over to Soulrift to read the full interview.